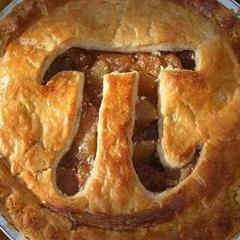 Yeah I love pi day we celebrate it at school and we bring in circular stuff, measure it, then eat it! Thats a pretty interesting post you wrote up, thanks for sharing it. I merely wanted to leave a simple comment to state your blog was great. I came across it on google seek just after dealing with plenty of other information that's not really relevant. I thought I'd discover this much earlier thinking about how fine the info is.